Honey Glazed Walnuts. 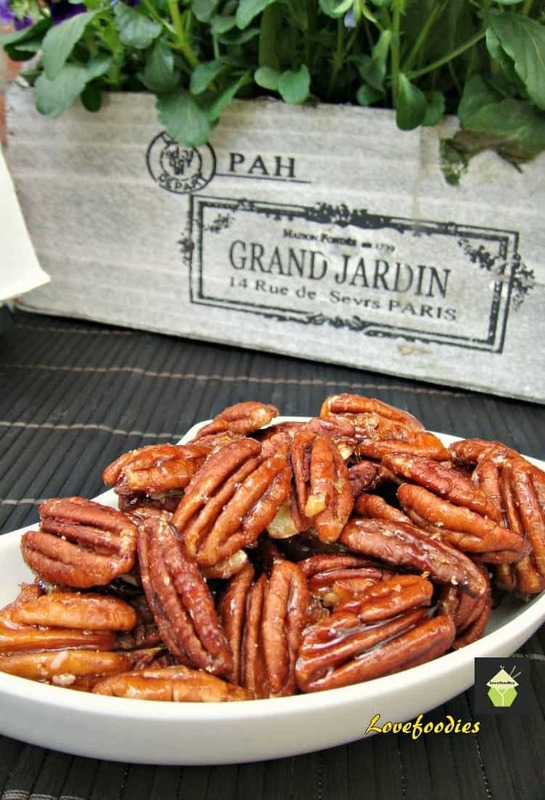 A very simple and flexible recipe allowing you to choose your nuts and seasonings to suit! Only takes a few minutes to make too! Honey Glazed Walnuts. Oh boy! If you’re looking for a very simple and quick recipe then you’ve come to the right place! 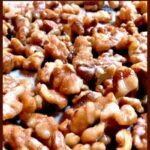 These honey glazed walnuts are perfect for snacks, parties, to make up for gifts over the holidays such as Christmas and you can even add them to a cake as decoration! 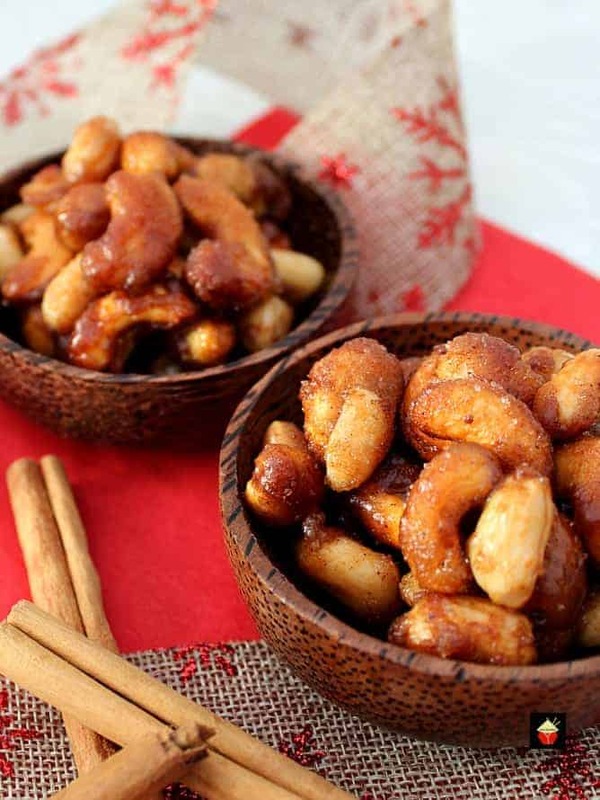 We’ve got quite a few other lovely nut recipes if you’re looking to make a selection, say for a party so do take a look here. You could even add them to our Irish Cream Chocolate Bark recipe. So tasty! This delicious recipe has been generously shared by one of our great cooks, Carina. 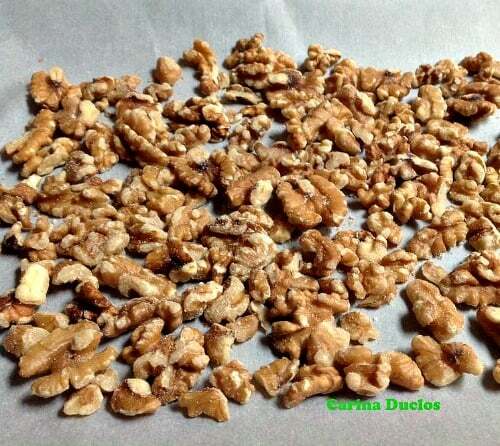 Cari’s Honey Glazed Walnuts are so addictive! They are super easy to prepare, and of course so flexible, in that you can change the nuts and seasoning to suit your own taste buds. Here, Carina used walnuts to show us her recipe, but other popular nuts to use can be cashew, pecan, peanuts, or even a mixture! Carina added a kick of cayenne pepper in her recipe, not too much, but you can add more, less or completely swap for another seasoning, perhaps a mixed spice (like pumpkin spice) or cinnamon etc. The sky’s the limit with what you can do with this recipe! Great for snacks, parties and movie nights. 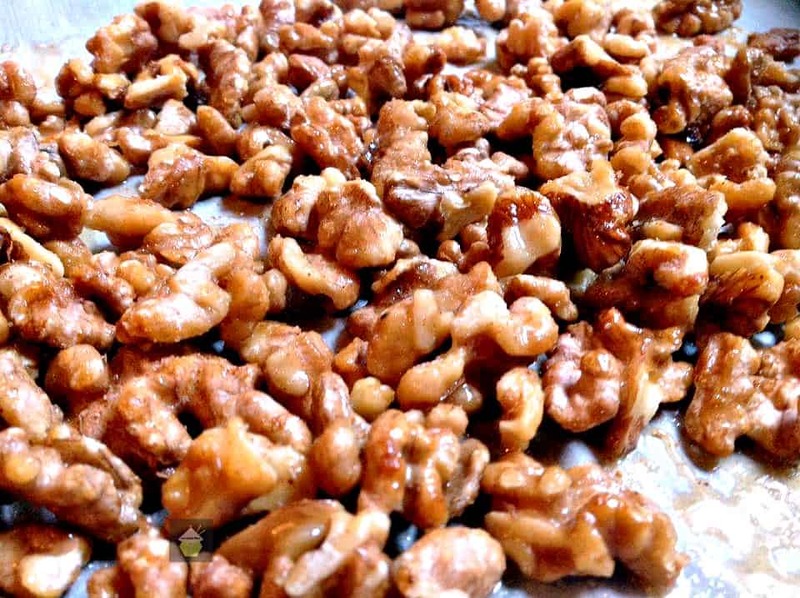 So let’s get straight to the recipe and see how we make these delicious Honey Glazed Walnuts! Please enjoy! 3. Place walnuts on baking tray. 4. Drizzle honey over walnuts, season with cayenne and salt. This photo shows me using cashew nuts! 5. 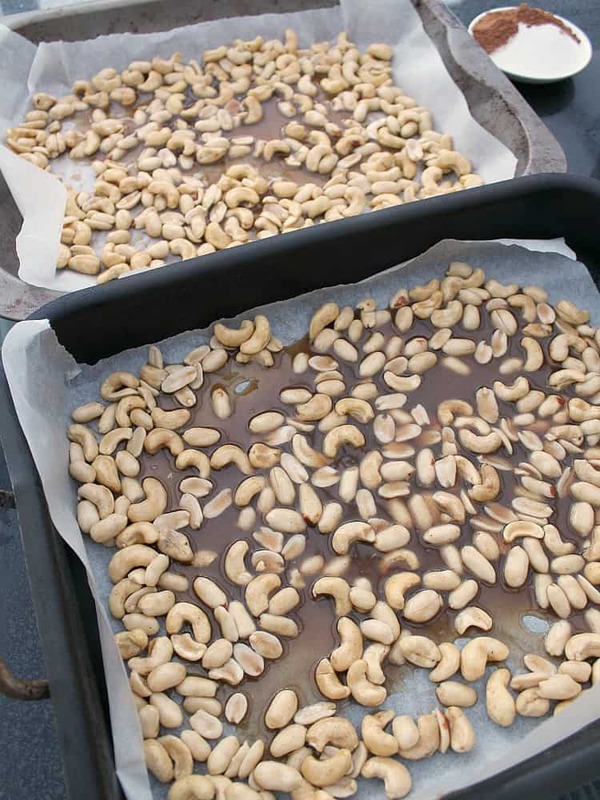 Bake in oven until walnuts are golden brown, approximately 10 minutes. Allow to cool then store in an airtight container. 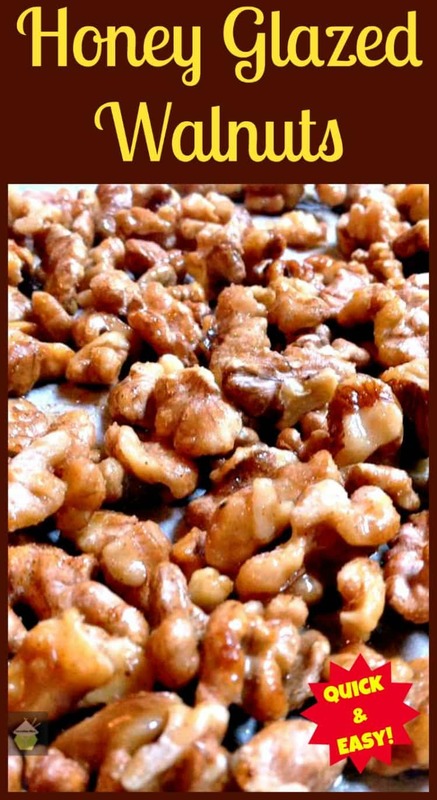 We’d love to hear from you and what you thought of our honey glazed walnuts recipe. Did you make any changes or add some other goodies? Let us know in the comments below. Thanks for reading and happy cooking! We’ve also got some spiced nuts! 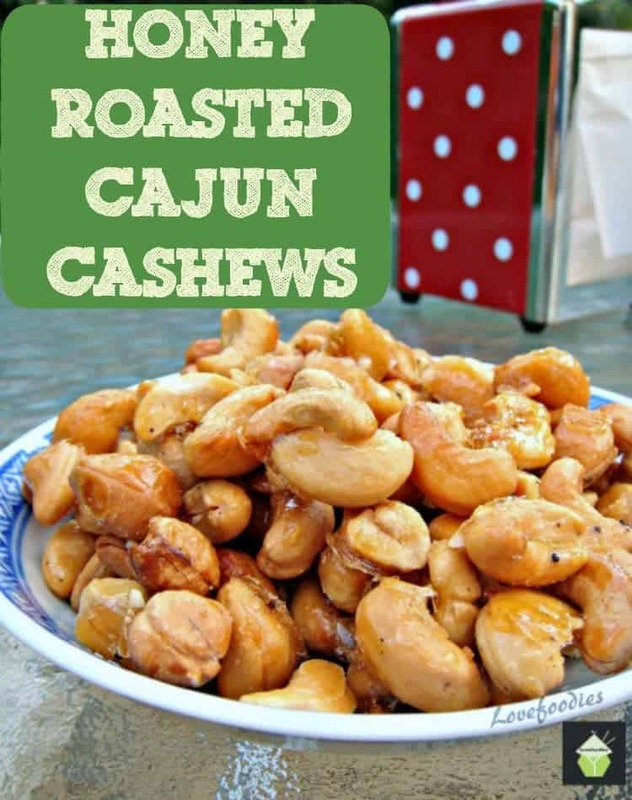 Try our Honey Roasted Cajun Cashew Nuts. They’re so yummy! Place walnuts on baking tray. 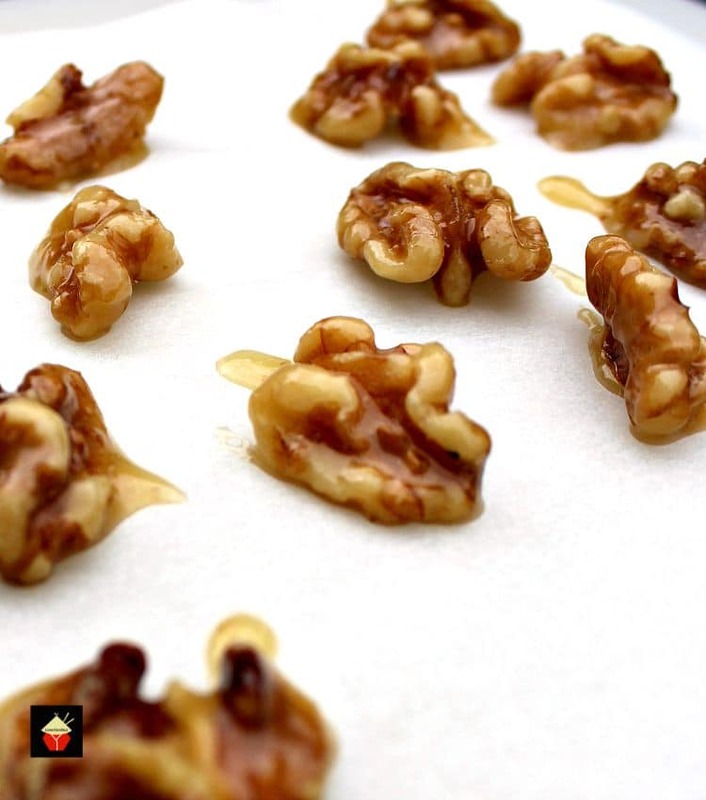 Drizzle honey over walnuts, season with cayenne and salt. Bake in oven until walnuts are golden brown, approximately 10 minutes. What a fun party nibble! Although these are so yummy I’m not sure they’d even make it out my kitchen!